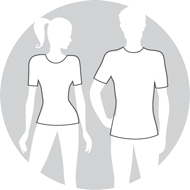 Biz Collection apparel sizes are designed to fit average industry standards for the below body measurements. An alternate method is to compare your own garment size to ours. 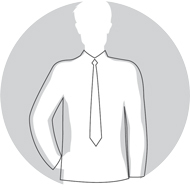 You can do this by measuring the ½ chest of your garment (layed flat, measured 1cm below the sleeve join, from side seam to side seam) and compare it to ours. 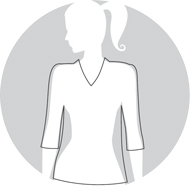 Please refer to the individual garment measurements, shown on each style page, to determine your garment to garment size comparison. 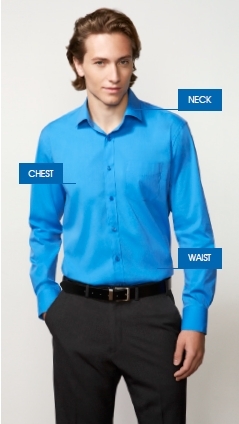 Fit with extra ease for movement. Falls free from the body. Full, generous cut with central back pleat for maximum movement. Generous fit with a longer line. Straight through the torso with extra ease for maximum movement. 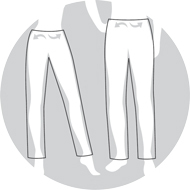 Expandable waistband feature allows for added flexibility, extra comfort and movement.